​Yoga, Nature & Pura Vida! 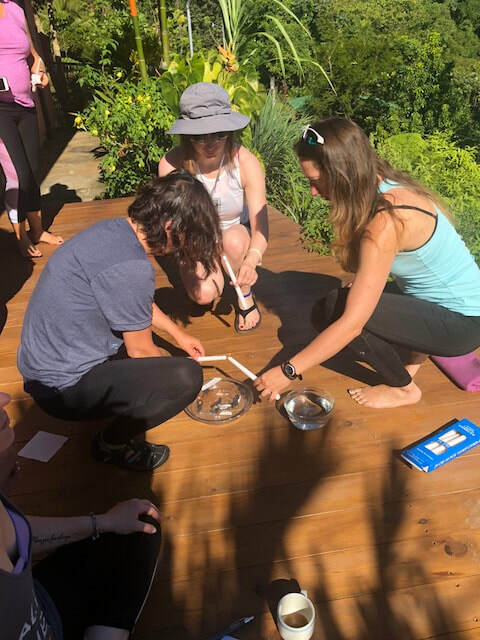 Awaken pura vida, or pure life, within you through a refreshing week of practical yogic living infused with Costa Rica's philosophy for happiness. 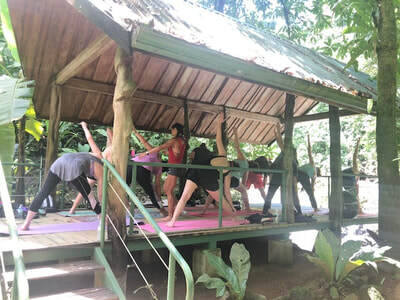 Thrive in soulful yoga and meditation, refreshing nature adventures, fun cultural immersion, enriching personal reflection, energizing healthy nourishment and uplifting community connection, facilitated by former Costa Rica resident and volunteer-teacher, Michelle Chua, who loves to share local highlights and lifestyle that transformed her perspective and inspired her passion for healthy living. Looking to recharge yourself and re-align to what's most important to you. Seeking an inspiring atmosphere where you feel supported to be healthy and free. Excited to learn from the culture of one of the happiest countries in the world, as named by Happy Planet Index. Seeking ways to deeply enrich your life with yoga and meditation. Wanting to travel to Costa Rica with a guide who shares her passion for yoga and Costa Rica and with a group in warm, richly diverse community. It was so much more than a yoga retreat...so special to see this country with someone who spent so much time there and truly loves and wants to share it with others. 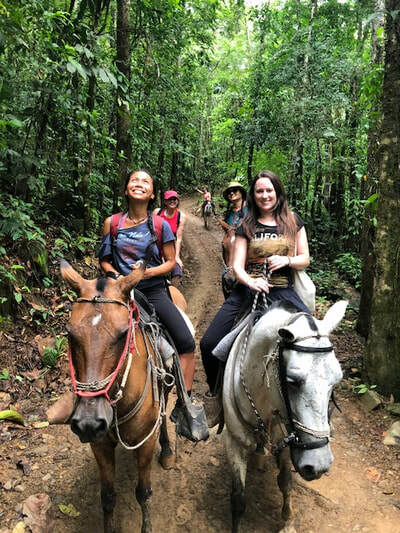 Unplug and detoxify from big-city life, bathing your senses in fresh rainforest and ocean air surrounded by thriving biodiverse wildlife – tropical jungle plants, colorful birds, mischievous monkeys, mesmerizing sloths and much more! Attune your mind, body and spirit to peaceful vitality through guided daily meditations and practical application of both yoga philosophy and Costa Rica’s culture of pura vida, facilitated by Root 2 Rise Yoga Founder Michelle Chua. Increase your physical strength and flexibility through fun mindful daily exercise, such as hiking, open-level yoga asana, dancing, beach sports, outdoor adventure and walking throughout our local neighborhood. Culitvate clarity and greater Self-awareness, as you step outside of your home routine and explore meaningful travel in Central America. Balance effort and ease--through guided inner work and free time to play--as you redefine your priorities, embracing simplicity and practicing surrender to flow as pura vida also means to live fully in the present moment and to let go of what’s unimportant. 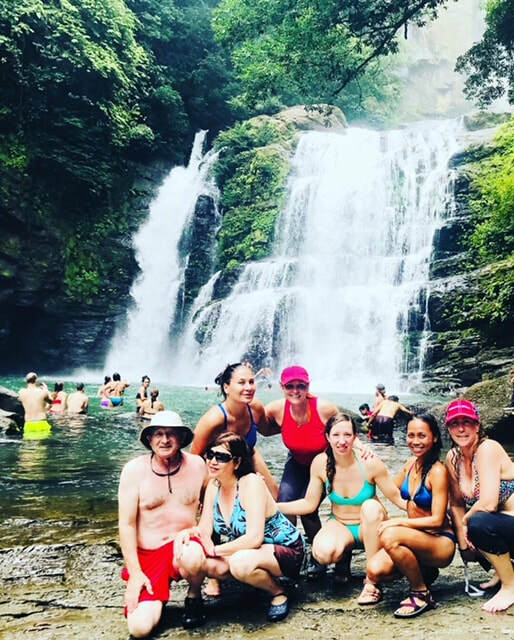 Expand your global perspective and dive into Tico (or Costa Rican) culture, creating insightful memories with locals and world travelers, both within and outside our retreat tribe, while practicing or learning Spanish. Be ready to engage with the towns we'll stay in, as this journey is about genuine connections and building unity in diversity! She (Michelle) was able to bring a group of 11 people together, most of whom did not know each other before, and unite us as one family by the end of the trip. 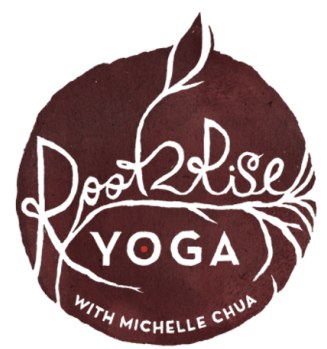 ​Why Retreat with Root 2 Rise Yoga and Michelle Chua? Root 2 Rise Yoga believes in mindful eco-conscious travel and aims to build bridges of peace among cultures through educationally fun integration of the arts. 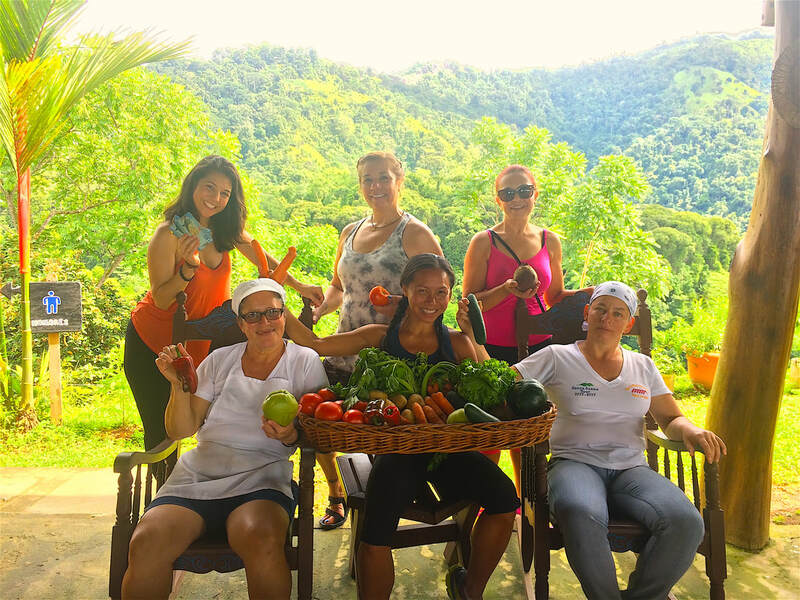 We value nature, culture and alignment with living yoga, balancing wellness instruction, playfulness and freedom to explore town living like a local. We believe in giving, not just receiving, love where we visit, with optional activities like environmental conservation projects, volunteering and donating books to local schools. We support the local economy visiting a variety of neighborhood restaurants for our included meals and hiring locals for our guided excursions. 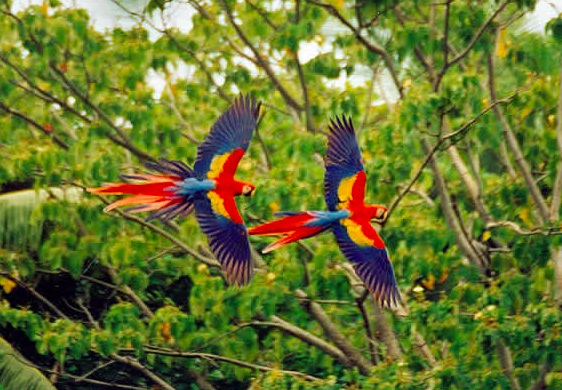 Lastly, Manuel Antonio, Costa Rica is a special destination to your retreat leader. 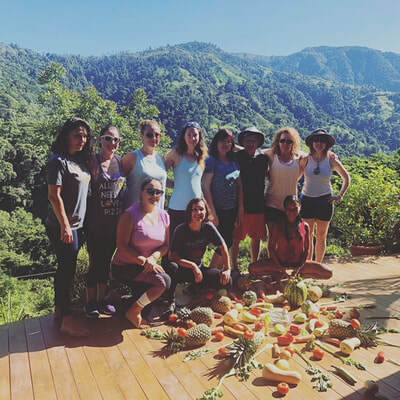 In 2009, Michelle dedicated 14 months to volunteer teaching in Manuel Antonio, where profound life experiences led her to pursue teaching and living yoga upon her return to California, where she founded Root 2 Rise Yoga. 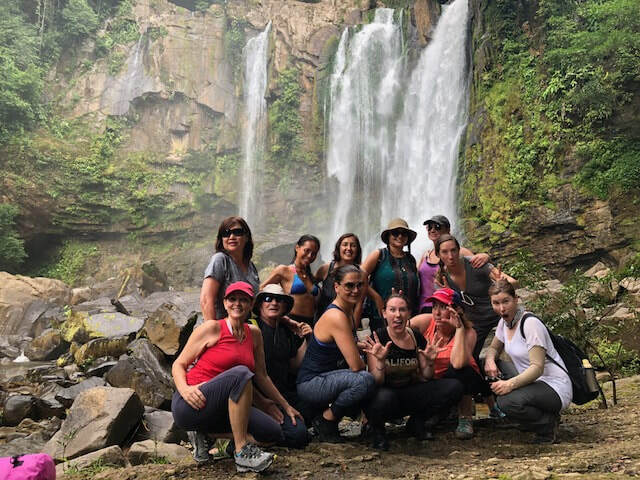 Driven by appreciation and love to share what inspires her deeply, Michelle offers this retreat once again in hopes of rippling Costa Rica’s positive impact to open-minded beings seeking diverse ways to thrive and empower the global community with positivity. 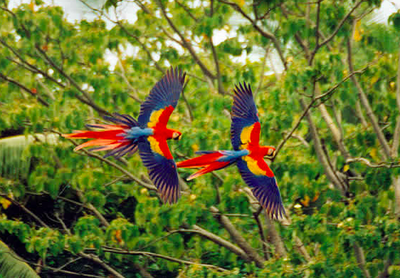 Why Costa Rica Retreat for a 6th Year? 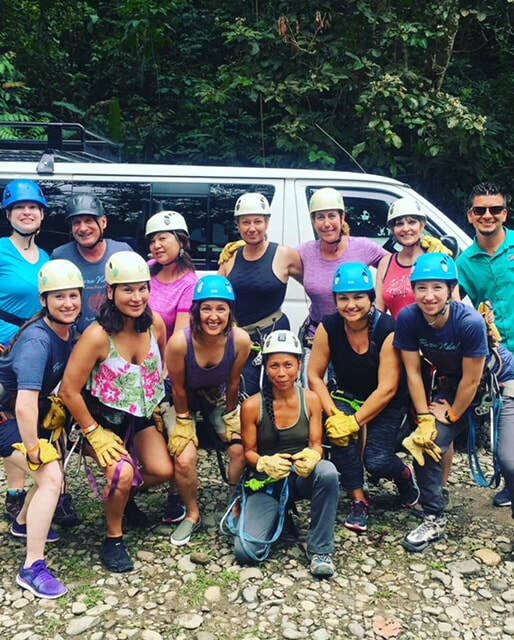 Since July 2014, we’ve successfully offered this evolving Costa Rica Retreat experience, and reluctantly decided to complete our annual tradition at year 5, in order to focus on expanding our world adventure to other countries, which is in now progress. However, due to recent requests to continue onto year 6, we’ve reconsidered and are revisiting in Summer 2019. Diverse ages and backgrounds have joined us in groups of 5 to 15 for our past Costa Rica adventures, and their heartfelt testimonies of how they benefited evidence the importance of continuing this retreat offering. 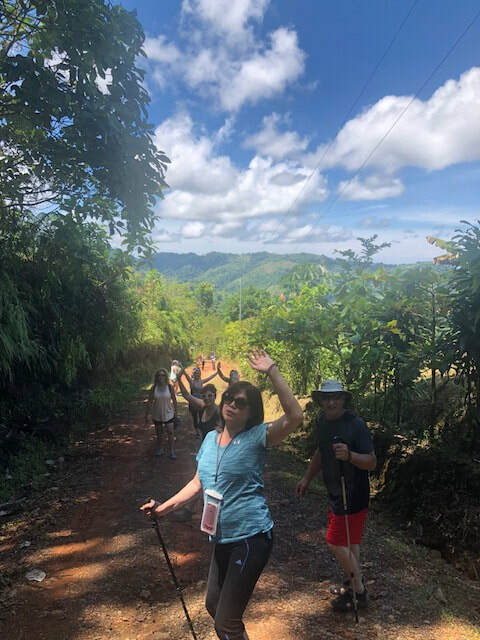 I loved that she (Michelle) included local culture in our events, not just tourist activities...And you don't have to be a yoga star to benefit...IT was comfortable and enjoyable for all levels and all ages. *This itinerary is subject to change, pending weather conditions and changing needs of our tribe. All activities are optional and are handpicked with love for your enjoyment. If you choose not to participate in an activity or meal, kindly give Michelle Chua, your retreat facilitator, advanced notice. 10am Group Pick-Up from San Juan Santamaria International Airport in San Jose, Costa Rica. Arrive in rural mountain village about 3 hours drive away, with a restroom and snack stop along the way. Check into your casita and unwind from travel. Being surrounded by nature, good friends, local people, really good food and beautiful energy with yoga everyday helped me to heal my heart. Eco-Luxury Casita in Mountain Village (Nights 1 - 2): luxury cabins, or casitas, include one or two king-sized beds, a fully-equipped kitchen with refrigerator, spacious balcony with hammock and panoramic views of the rainforest and Pacific Ocean, large ceiling fans and a large bathroom with hot water, hair dryer and basic toiletries (shampoo, soap, lotion, towels). Traditional homemade meals are served in El Mirador restaurant, a short walk away. Santa Juana's small mountain village temperatures average 70s-80s F with typical rain in the late afternoon/evening and sometimes early morning, creating luscious green plantlife. Luxury Villa in Beach Town (Nights 3 - 7): a shared 7-bedroom 3-story luxury vacation villa overlooking the jungle and Pacific Ocean, sitting atop the small town center. It's walking distance to beaches, restaurants and cafes, the tours office, bus stop for accessing the adjacent town and the national park, some nightlife and a small business center, which includes a bank, grocery store and souvenir shop. Each bedroom includes 1 queen-sized bed, dresser, air-conditioner and fan. A few bedrooms have a private balcony and some have ocean views. *Guests choose their bedroom in the order in which they registered. Guests share 1-2 bathrooms per floor, with a total of 5 full restrooms equipped with hot water, towels, soap, shampoo and lotion. Each floor has a communal living room with couches. The first floor has a fully-equipped kitchen and a large shared balcony for our at-home open-air yoga sessions overlooking the jungle and ocean. 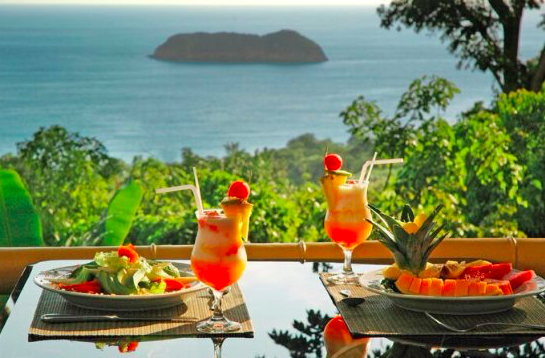 The weather in Manuel Antonio in July and August is warm (70s-80s F, but generally warmer and drier than Santa Juana) and humid and may rain briefly in the early mornings and evenings making for refreshing air in the day, during this start of the rainy season. Single: Stay in your own room or eco-luxury casita in a mountain village for 2 nights in the mountains and in your own room for 5 nights in a beach-town luxury villa. Shared: Share a 2-person bed with your pre-selected roommate in your own room or eco-luxury casita in a mountain village for 2 nights and in your own room together for 5 nights in a beach-town luxury villa. Interested in sharing accommodations? If you'd like to connect with potential roommates via email, please let us know here via email. We'll let you know if others are seeking a roommate. Complete the online registration form here, and check your email within 1-2 business days to confirm availability. Upon confirmation of availability, submit your $500 nonrefundable and non-transferable deposit to secure your space tentatively until you complete payment on your balance by June 30, 2019. When your full registration payment is received, you’ll receive official confirmation of your retreat reservation. Your cancellation must be sent in writing via email to Root2RiseYoga@gmail.com. Cancellations before June 15, 2019 will be refunded total payment minus $500 USD deposit. Cancellations after June 15, 2019 will not be refunded. In the unlikely case that Root 2 Rise Yoga or its Costa Rica venue cancels the retreat due to uncontrollable circumstances, your payment will be fully refunded. Other similar accommodations or options within the retreat area will be explored and proposed to you before cancellation. 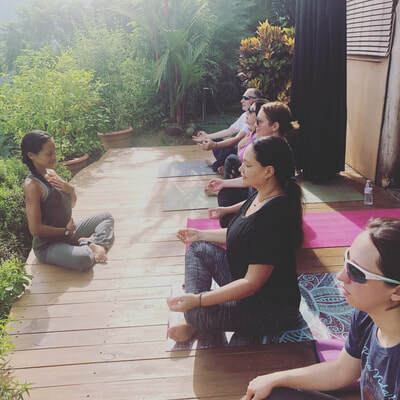 Michelle Chua or Root 2 Rise Yoga are not responsible for your expenses incurred in preparation for any canceled retreat, such as airline tickets, loss of work, and/or other costs associated with preparing for your trip. ​2017 Costa Rica Retreat, "Awaken to Pura Vida!" It was one of the most unique and memorable trips for me and my daughter. 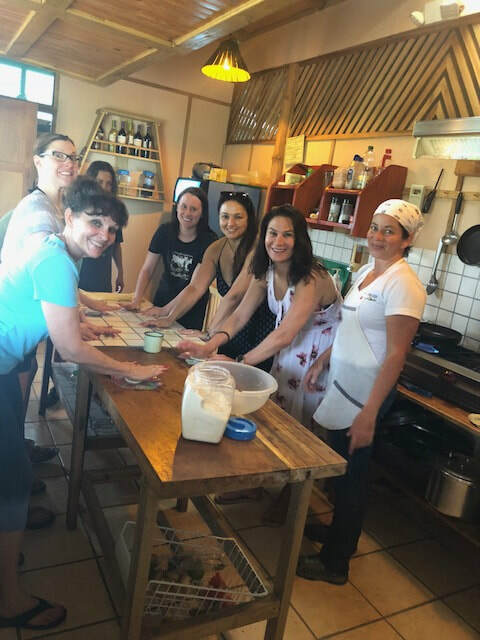 We had great yoga lessons, enjoyed beautiful places, saw funny monkeys, met great people, ate good food and had so much fun dancing, singing and laughing…Michelle, your passion, positive energy, patience, calm and caring personality, and creativity made this trip so wonderful. You are professional, and you are the best! (Costa Rica Yoga Retreat 2014)... was one of the most enjoyable, most eventful trips of my life. It was an absolutely amazing experience for me, and I will always cherish the memories. Both locations offered true diversity - a taste of rural mountain life and the beauty of the beaches. Your choice of lodgings at both places was also wonderful. Loved that we stayed in our own private and spacious casitas in the mountains. Loved their large windows which offered a panoramic view of the lush jungle scenery...Our beach town villa was also just as good if not better than a five star hotel. Loved that we had a balcony with a stunning view of the ocean and long and wide enough to hold a yoga class...Also terrific that our villa seemed secluded, but was within walking distance of beaches, cafes, and shops. Also within a stone throw to the bus stop...The meals were also exceptional...the yoga classes are worth the price of admission in themselves. I just returned from her retreat in Costa Rica. What a wonderful experience. Doing yoga in incredibly beautiful settings, a lovely place to stay, great activities, and generally lots of fun. I loved that she included local culture in our events, not just tourist activities. It was very well organized and everything was well thought out. I would highly recommend any of her classes or retreats. And you don't have to be a yoga star to benefit--I'm definitely NOT! It was comfortable and enjoyable for all levels and all ages (we had people from 26 to their 70's!). ...Great location, great yoga, great food, endless activities, and an all together wonderful experience. I also like the fact that we learned something about the local culture too. 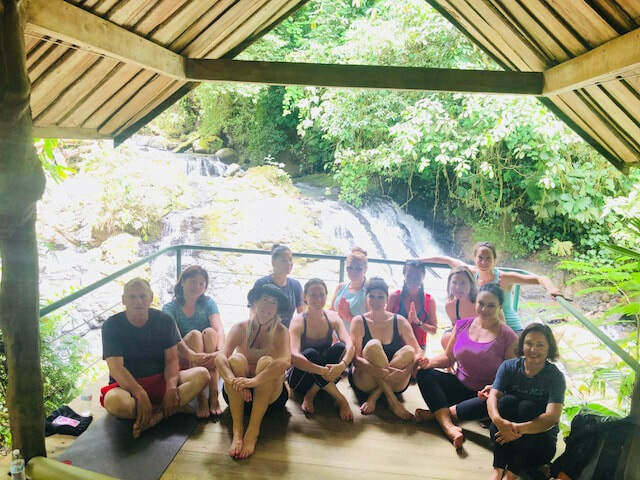 After this trip (Costa Rica Yoga Retreat 2015), I now understand the definition of Pura Vida as being a life with inner peace because of acceptance and appreciation for what is, and gratitude for the experience.